SOME ANGELS ARE DESTINED TO FALL. Instant. Intense. Weirdly familiar . . . The moment Luce looks at Daniel she knows she has never felt like this before. Except she can't shake the feeling that she has . . . and with him - a boy she doesn't remember ever setting eyes on. Will her attempt to find out why enlighten her - or destroy her? Dangerously exciting and darkly romantic. 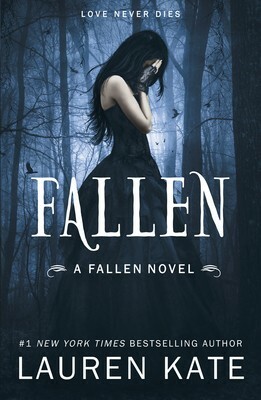 Fallen is a thrilling story about forbidden love. I got hooked to this book it was great.